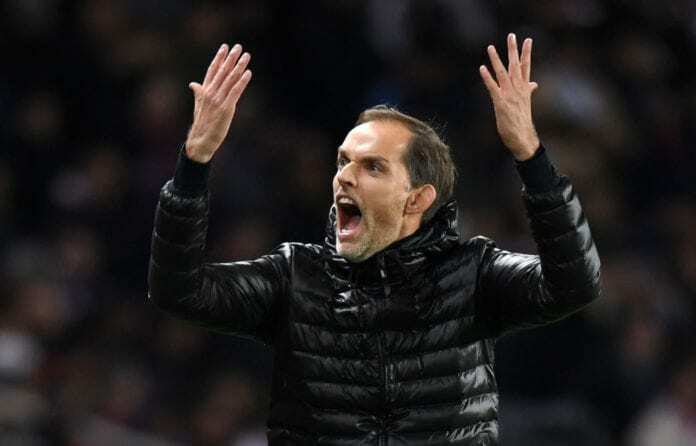 Thomas Tuchel claims he is bracing up for the Ligue 1 tie against rivals Lyon in the press conference on Saturday. The German manager highlighted the importance of the game as they prepare to lock horns with the Red Devils soon and confirmed the absence of Neymar, Marco Verratti and Kurzawa. “Lyon only lost one match in the UEFA Champions League group stage. They won in Manchester and then drew at home to City.” He told PSG’s website. “They’re a side with a lot of quality and they deserve to be in the last 16. They will be tough to play, and it will be a huge challenge for us as they have a lot of courage and quality. “They attack and defend as a team, with structure and courage. We’ll need to dominate possession to have a chance of scoring. Unless we turn in a complete performance, we won’t win. 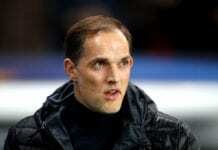 Tuchel sounded positive about the qualities of new signing Paredes who joined from Russian League. “I’m happy that we signed him. He could be a very important player for us. He has the quality and the personality to be in our side. He has good vision, a good passing game. He trained normally with us on Saturday and he will be in the squad. I think it’s still a bit early for him to start, but we haven’t decided yet. And the German gaffer once again praised the attributes of skipper Thiago Sila. “The first time I met him, we had a pleasant encounter. He was very honest and so was I. There is a connection. “He is an incredible captain for the team. He comes to the Ooredoo Training Center with a smile on his face every day. He gets better with every session – he’s really exceptional.